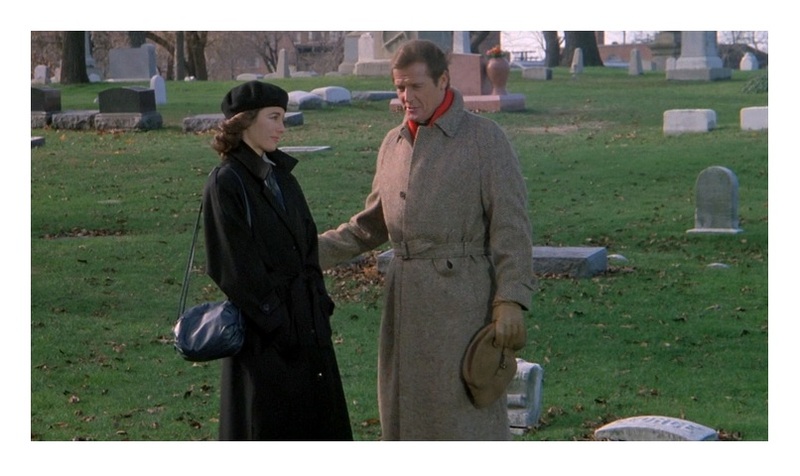 Roger Moore (For Your Eyes Only) plays a Chicago psychiatrist, Dr. Judd Stevens, who suddenly becomes the prime suspect in a murder investigation. Based upon Sidney Sheldon’s first novel, The Naked Face just doesn’t work. Lots of talented people behind/front of the camera to no avail. It’s too bad because the film’s premise is good. I also liked the fact that it has a great cast. The film was produced by Yoram Globus and Menahem (aka The Cannon Group). The boys at Cannon films were famous for cutting corners, but The Naked Face has surprisingly high production values and a top-notch cast. The film was written and directed by Bryan Forbes, a filmmaker with a bunch of great films on his resume; I’m a huge fan of Séance on a Wet Afternoon, King Rat and the original The Stepford Wives. This is Forbes’s last movie and he ended his career on a flat note. The the script is the problem here. The psychiatrist-embroiled-in-a-murder-investigation has become an overused movie trope so I was expecting a bit more. The Naked Face doesn’t bring anything new to the table. Worst of all, the mystery was too easy to figure out, but the film does have many actors I tend to like. Rod Steiger’s (Doctor Zhivago) unhinged cop was odd to say the least. Dear lord, when Steiger decides to go over-the-top, he shakes up the Earth’s core. I had no idea what he was doing, but bless his heart, you can’t never accuse him of phoning it. 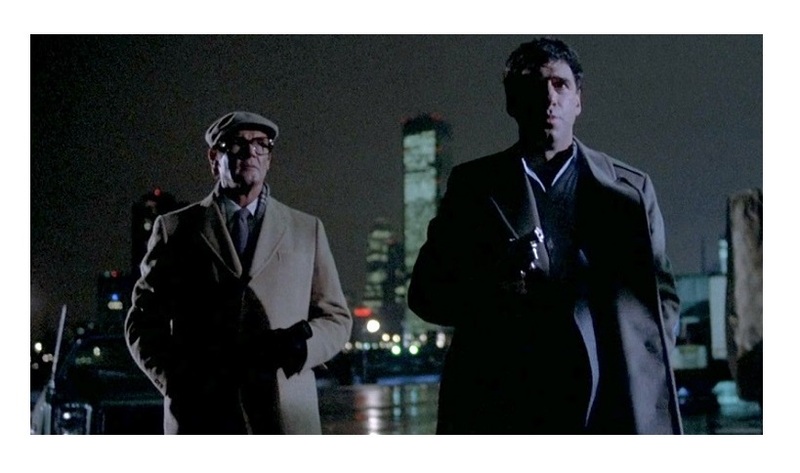 Elliott Gould (M*A*S*H) is strangely subdued as Steiger’s partner. In addition to Steiger and Gould, the cast includes Anne Archer (Fatal Attraction) as one of Moore’s patients (her mere presence gives away the mystery), and David Hedison (Felix Leiter in Live and Let Die and Licence to Kill) as Moore’s brother-in-law. Art Carney (Harry and Tonto) was the best thing about the movie. He plays an over-the-hill gumshoe (a nod to The Late Show?) and he’s simply terrific. 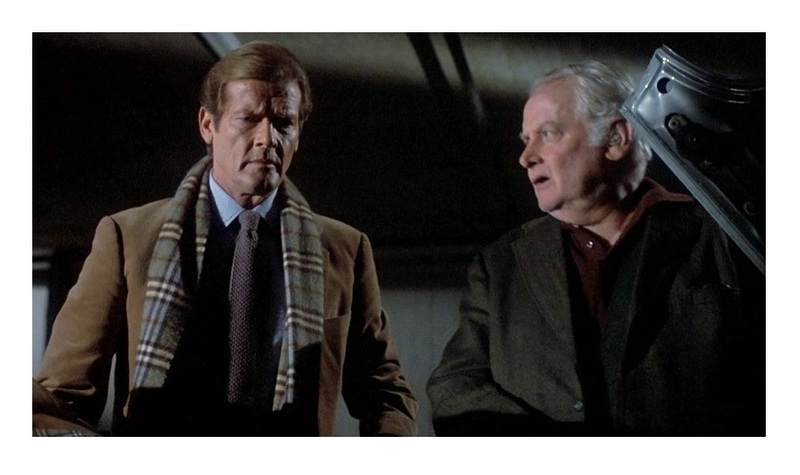 Roger Moore isn’t great per se, but I have to admit that this is one of his most interesting performances. Moore’s mamby-pamby physician was a curious change-of-pace for the actor. 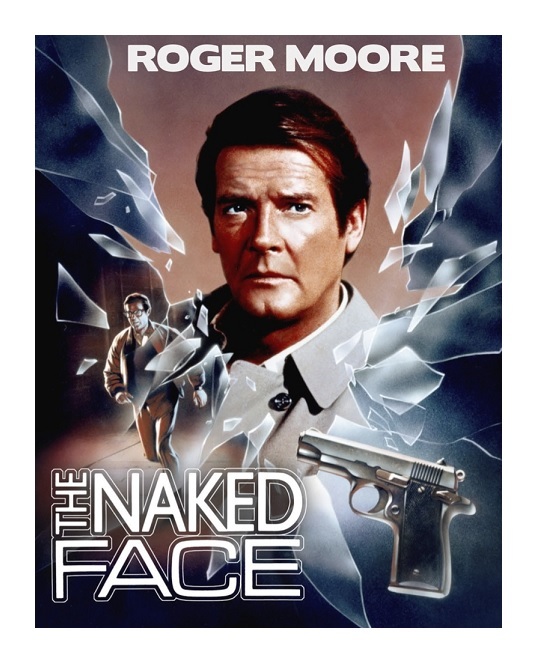 One has to remember that at the time The Naked Face came out, Moore was mostly known as super-spy 007. It’s strange to see James Bond being so passive, so helpless. Moore’s Dr. Stevens doesn’t do much. The man-wrongly-accused-of-a-crime usually takes it upon himself to clear his name and find the real culprit. Our mealy-mouthed protagonist hires a private detective to do all the work. You also get to see Moore take a hell of a beating — he doesn’t even try to fight back! Brain de Palma’s Dressed To Kill, even Robert Benton’s flawed Still of the Night, are better examples of the psychiatrist-in-distress scenario. As I said before, The Naked Face does have a study cast of veteran actors, but unfortunately, the actors can’t overcome the weak material. A failed neo-noir, not one of Cannon‘s best. This is mostly for fans of actor Moore. Color, 115 minutes, Rated R.
I’d never heard of this and like you say what a cast. Admirable he played against type, too bad it didn’t work here.